Welcome to the Heart & Soul Blog! This space is my little corner of the internet to share with you what I learn and experience when it comes to nutrition, exercise, stress relief, and more. Basically I want to share all the good stuff that keeps my heart and soul in balance. 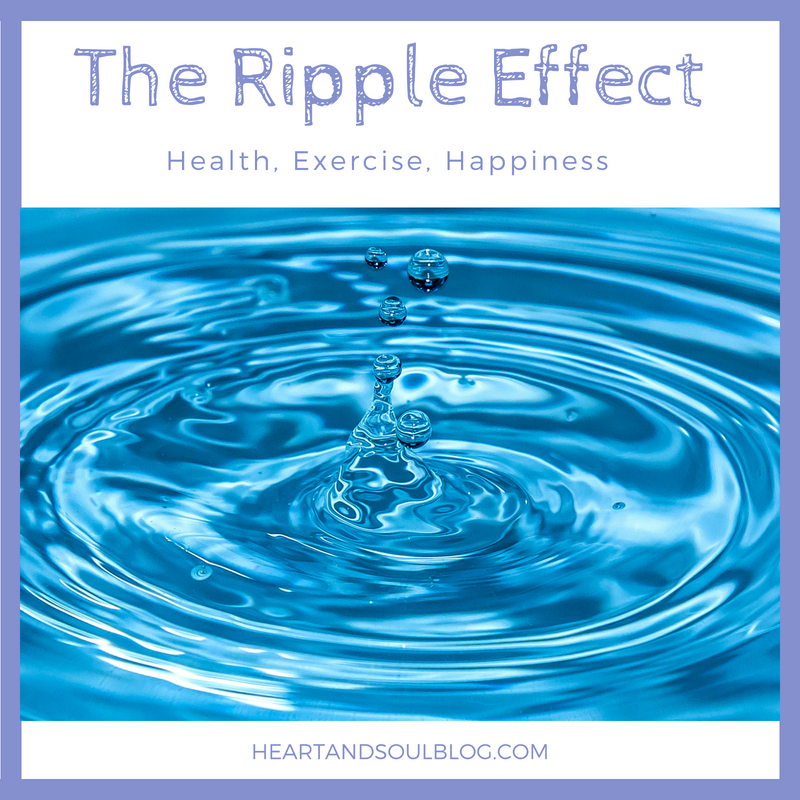 Another key component is the ripple effect and how it weaves through both the narrative of this blog and my whole life. What isn’t part of the ripple effect?! To take a step back, though, the ripple effect is the idea that one tiny drop can cause waves across an entire body of water. In that vein, I believe that every decision we make has the opportunity to make a big impact on our days, our lives, and the people around us. Does that mean one bite of broccoli will make us healthy? Nope, no more so than one strip of bacon will clog our arteries. But each choice we make has the possibility to impact the next choice we make. If that single piece of broccoli makes us feel better, we’re more likely to eat other foods that give our bodies energy and vitality. There’s the ripple effect in action! I built this blog to be a place to share little steps you can take every day to cause ripples in your own life. 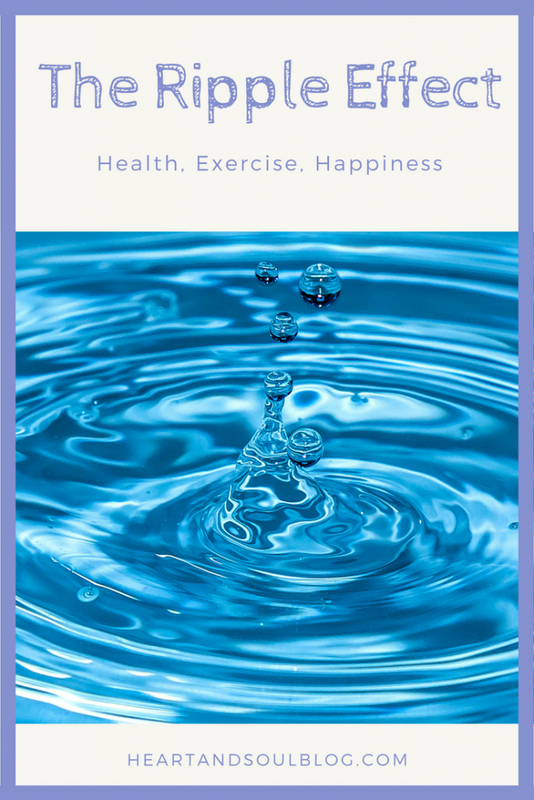 The focus will be on things you can do to improve your health and happiness through exercise, eating, self care, and more. And when I say little steps, I mean it! The ultimate goal is to be a healthy person on a holistic level, but you can make that happen through small choices. If you want to get started now, click on the Quick Start button for things you can do in 10 minutes or less today. I’m a working mom of two little kids who struggles every day to balance staying healthy with staying present. I bet you know what I mean! I’m not a “health nut” or an expert — just a parent who wants to feel my best while modeling good choices for my kids. I’m glad to have you visit me over here at Heart & Soul and can’t wait to connect with you!